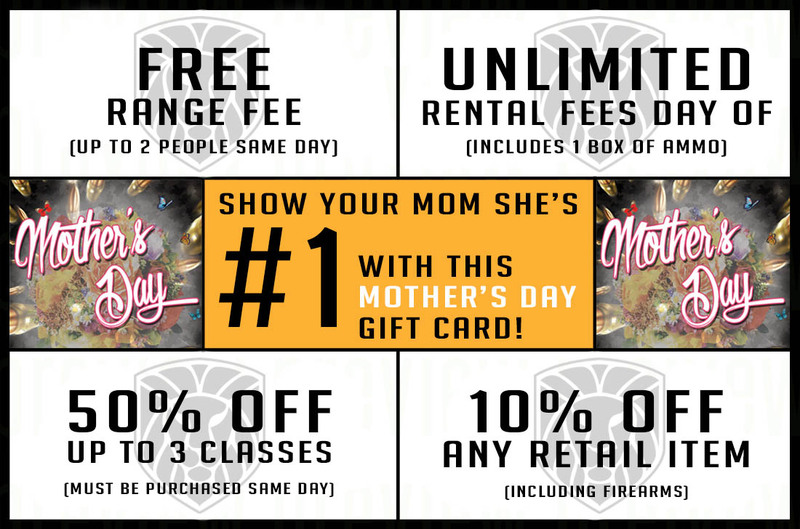 Add some firepower to your Mom's Mother's Day gift this year by getting her this amazing range package! For just $75, she can have a blast on our range shooting a wide variety of our rental firearms WITH a box of ammo included. Even if she's not an experienced shooter, she can save HUGE on training to take her to the next level! We even included a discount on ANY retail item, including firearms! This year, give her the gift that will make all her friends jealous! After all, without her, there'd be no you!